1. Not completed as Narcissus, as stated by many sources. 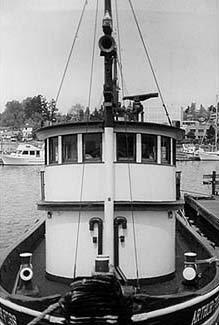 That was her name in the film "Tugboat Annie." 2. 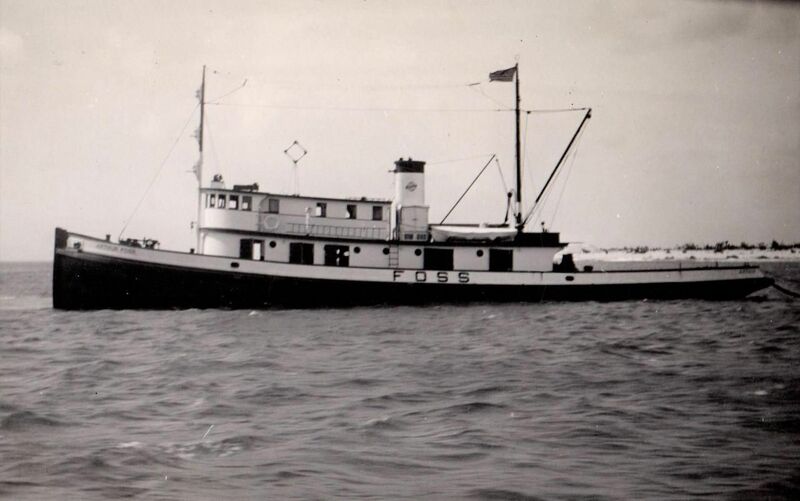 Wikipedia inaccurately gives the date as early 1929, while the 1925 issue of Merchant Vessels of the United States shows her owner as Merrill & Ring. 94k Arthur Foss at Wake Island, 05 December 1941. Three days later, she became the last vessel to escape Wake before its capture. 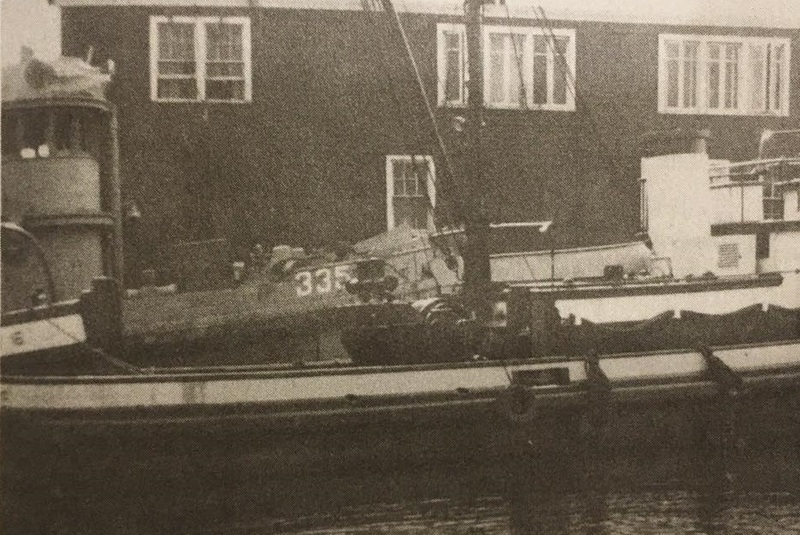 The tug arrived at Honolulu twenty days later, her fuel tanks nearly empty and presumed lost. 253k Dohasan (YTM-335) after her return to Foss and awaiting refit at Tacoma, 1947. This is the only known photo of her in her wartime rig and colors. 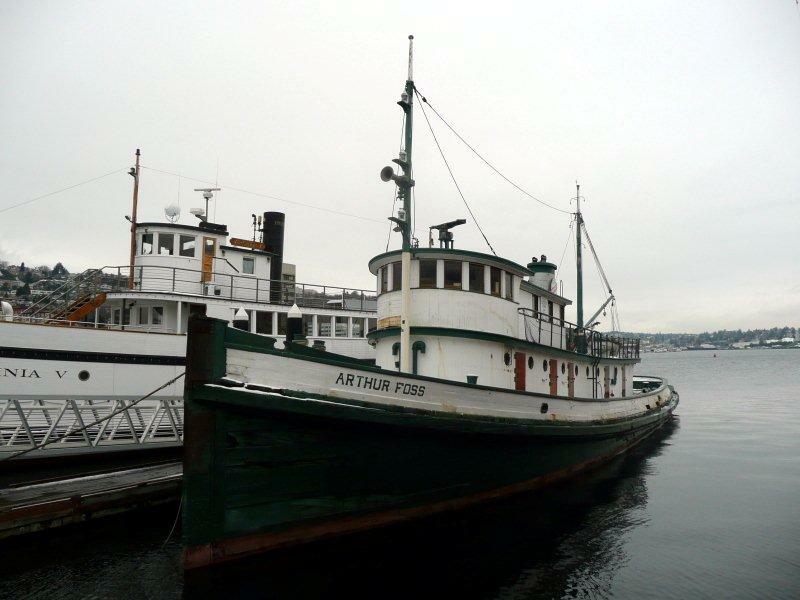 58k Arthur Foss moored pierside at Heritage wharf on Lake Union, Seattle, WA, 25 November 2010. 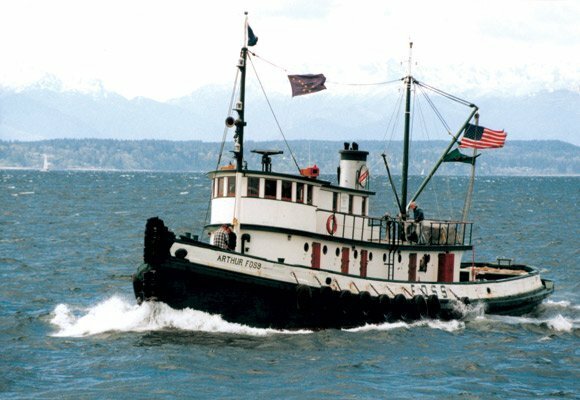 70k Foss Towing and Transportation tug Arthur Foss underway, date and location unknown.